We were to have a big snowstorm on the preceding Wednesday (4-8 inches which became, oh, enough snow to whiten the ground) and people went nuts as usual, sure that milk, eggs and bread would cease to exist. Add that to the last bits of Thanksgiving shopping by people who haven’t a clue on how to shop *or* cook, and I sure as hell didn’t want to get near a grocery store. Especially, since I am still so very, very, happy not to be working in a meat department this time of year. So, when I wanted a dessert for our dinner, I hadn’t much to work with. So, I went on a expedition to the north pole, aka my small freezer that sits above the fridge. Amazing how much can get utterly lost inside a space of about 2.5 feet, by 1.5 feet and a foot and a half deep. I came out with a bag of leftover homemade pie crust; maybe put in within the last 6 months, maybe much older. In the fridge was a tub of caramel fruit dip with a few ounces of caramel left in it. And one lonely Cortland apple, about the size of my doubled fist was on the counter. Add to this a few baking staples and we had a lovely sweet. Preheat oven to 400 degrees F. Roll out pie crust into a rough 12” or so circle, about 1/16 of an inch thick. 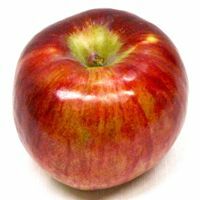 Mix apple slices with cinnamon, sugar and flour. 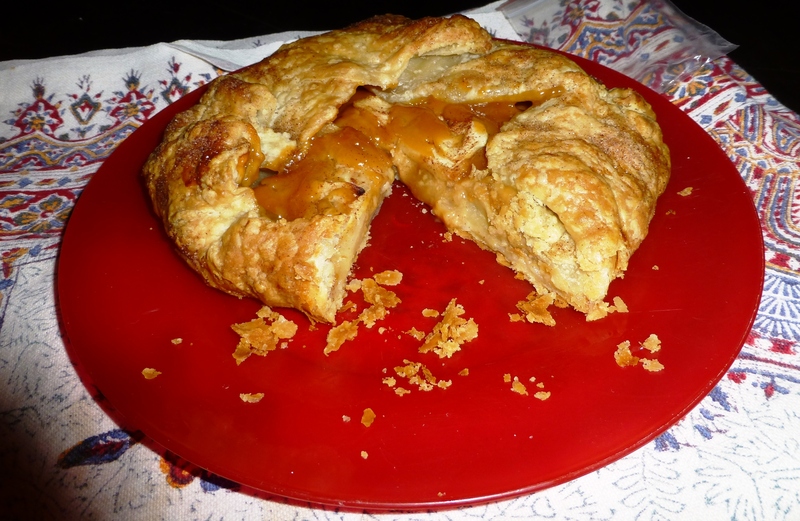 Arrange slices in a nice layer, a few deep, in center of pie crust out to where you figure on folding it over. Spoon caramel on. You don’t have to be too neat, it’ll melt to where it needs to go. Fold over crust to leave a opening about 4 inches across in the center. Shake on more cinnamon and sugar. Place on parchment paper on cookie sheet and place in oven for 35-45 minutes, until golden brown and bubbling. During the last ten minutes, you may wish to tent the tart with a bit of aluminum foil to keep it from getting too dark on top. Remove. Cool. Eat. Preferably with whipped cream. The frozen pie dough worked really well. I’ll have to keep more in there for the future. These are my thoughts, just to get them out of my head where they’ve been running around. The grand jury could not indict the police officer because there wasn’t enough evidence. Read the transcripts (here and here) and you’ll see that there was disagreement in the officer’s account and the witnesses’ accounts; the witnesses didn’t agree. The law is set up to not convict people if the evidence doesn’t support it to a reasonable extent. Yes, you might not like it but that’s the case. How would you feel if a young man was convicted and the evidence did not support it? What would you say if the witnesses didn’t agree in that case? What would you say if this was a black officer and a white young man? Could “looked like a demon” be applied to either case? Yes, it could. It seems that this was needlessly spun as a racist remark with no good reason. A very good opinion piece on CNN from a woman whose husband is a police officer and who has a son, and who all happen to be African American, shows the problems with thinking this is just a simple matter of racism. Yes, there should be something done about how some police treat people who do not look like them. There should be something done about how some people treat other people who do not look like them. We need to realize that we are all humans and not defined by where our ancestors lived and how much sun they got. That is pure idiocy. To riot does nothing but harm. It does not show any interest in social justice because it achieves nothing but violence, and usually is one part of a continuing cycle. If these folks were interested in justice, where is the justice for those people they harmed? Justice isn’t only what you want when you want it. Collateral damage isn’t acceptable. If you feel harmed, then focus on those that harmed you. I can understand and in some cases support harming those who have harmed you; I am no kind of pacifist. I cannot support being so idiotic to hurt others. I’ve seen a lot of people claim that those who were harmed somehow “deserved” it. Then where does the blame end? That’s it. You may agree or not. We can discuss what I’ve said. Not So Polite Dinner Conversation – science proves Chrisitanity is true? Oh do tell. I’ve recently run into a Christian named Diana Lesperance. She is the classic evangelical Christian, creationist, and sure that her version of Christian is the only “right” one. She’s written a book “The Narrow Way: biblical and historical proof that God is Great” as a response to Chris Hitchens’s book. That book must be quite a train wreck. I suppose I could get a copy for a penny on Amazon but then I’d still have to spend $3 getting the silly thing. Luckily, we can see some of Diana’s evidence and logic in her blog and it’s a great demonstration of how a religion needs to rely on fear, ignorance and lies to keep going. Her blog is also a fascinating lesson on how Christians create their religion to fit them. I’ll address one of her recent blog posts in its entirety but the most interesting points in it is that Diana wants to focus on what evidence we have now and not what we might discover or what we have discovered that she ignores through willful ignorance. This is the only way a creationist, conservative Christian can function, to deny anything and grudgingly move forward as their god is squeezed to nothing in gaps that are ceasing to exist. It is only by saying that we can’t find something out that they cling to what they have left for a little longer. Her post also points out the hypocrisy since we have no evidence of the essential events in her bible and she requires that we accept those claims. She also conveniently forgets that her creationist compatriots have been promising evidence for creationism for decades now and still haven’t produced one bit. The Discovery Institute, the Institute for Creation Research, etc not one dribble of fact that their god created anything. In her one blog post “The false religion of naturalism”, we can see that it starts out with quite a bang, the good ol’ accusation that atheists are practicing a religion. Naturalism is, well, let’s let the OED say it “the philosophical belief that everything arises from natural properties and causes, and supernatural or spiritual explanations are excluded or discounted.” Nothing in it about religion, which is the “a personal set or institutionalized system of religious (“relating to or manifesting faithful devotion to an acknowledged ultimate reality or deity”) attitudes, beliefs, and practices “. In this definition (from merriam Webster), it talks about faith, which is the belief in something without evidence. 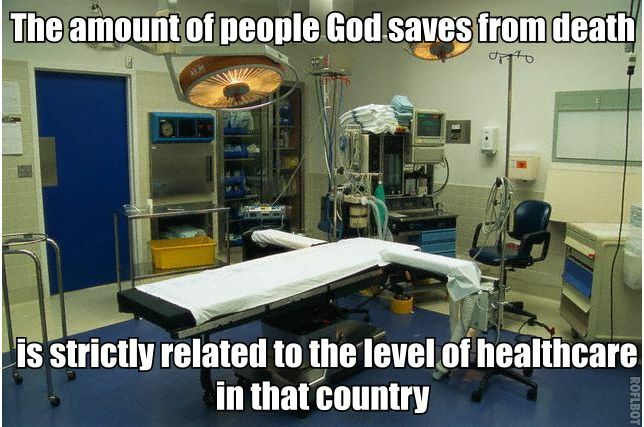 It also shows that no matter how a theist may claim that their god hates religion and that they have a “relationship”, they indeed have a religion. 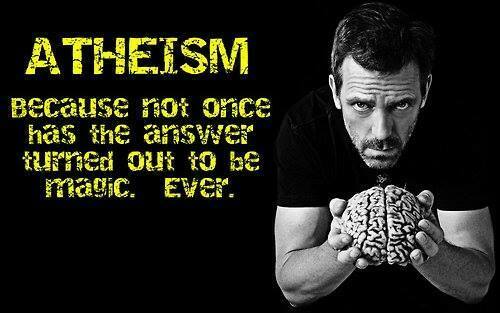 It always seems that the best argument that theists have is that atheists aren’t any better than they are, not that they are actually correct. In this, there is no conflict between those who believe in the basis of naturalism and in experimental evidence that indicates that this is how the universe works. Diana, and some of the folks she quotes, do their best to gin up some conflict between the two, and all it boils down to is that humans don’t know everything, so their gods must exist. There is no “war between science and naturalism”. The short version is Diana is depending on the god of the gaps argument, that if we don’t’ know everything, then her god simply must exist. She also depends on ignorance of what she claims. If she was truthful about being concerned about understanding science, she’d already know that her claims fail in basic ways. In number 1, the evidence we have now supports the conclusion that physical laws can explain the origin of the universe. We may not know all of the details *yet*, but we working towards knowing. Theistic belief depends on the idea that we don’t look any further than what the theist wants us to. We also know that there is no evidence for a supernatural e.g. outside of physical laws and the universe, source for the universe’s creation, especially not for one version of one god of one religion. There is no evidence for “fine-tuning”, #2. This is the usual creationist nonsense that the universe was built for humans and nothing else. There is evidence that we fit in quite well with a universe that has these physical laws and arose because of them; they did not arise because of us or because of a magical being liked us a lot. Another problem with the “fine-tuning” argument is that much of the earth and the universe is entirely inimical to human life. This is the usual creationist “goldilocks” earth argument that depends on utter ignorance of the cosmos. What we usually get is “golly, the earth is perfect for us, the orbit is perfect, the sun is perfect, etc.” which ignores that people regularly die because of normal physical action on this earth, that the sun is not stable and can really screw up our lives, etc. 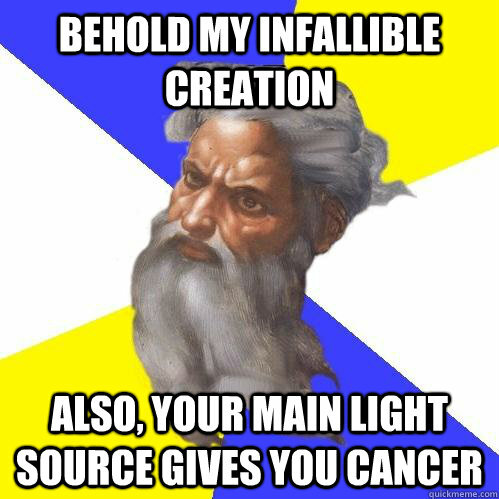 I mean, really, what kind of a god creates a supposedly perfect world where the primary source of light causes a lot of cancer? (and no, I certainly didn’t come up with that pithy observation). Number 3 is another attempt at the god of the gaps argument. We do not yet know how life originated, but that doesn’t mean “goddidit”. Nor does this mean that Diana’s version of a god did it. Again, we are getting closer and closer and the gaps are getting smaller and smaller. This weekend we decided we needed to make something new. My husband suggested that we wrap meat around “something”. We narrowed that down to pork and the something to be a mix of cheeses and various flavorings. So we got a pork loin roast (a little over a kilo), cut it into one long flat piece of meat by “unrolling” it with a nice sharp knife. And then we stuffed it with the cheese mix (recipe to follow). Number one: remember, meat constricts when cooked. Which sends the cheese mix squirting out each end. You can see that the end result where the excess cheese mix ended up as a blob separate from the roast. The roast didn’t turn out too bad, and it did retain a nice spiral of stuffing. But it wasn’t pretty. 2 dried guajillo peppers, soaked and diced (for some reason ours had no heat whatsoever. They did have an excellent sweet pepper raisin-ish quality). 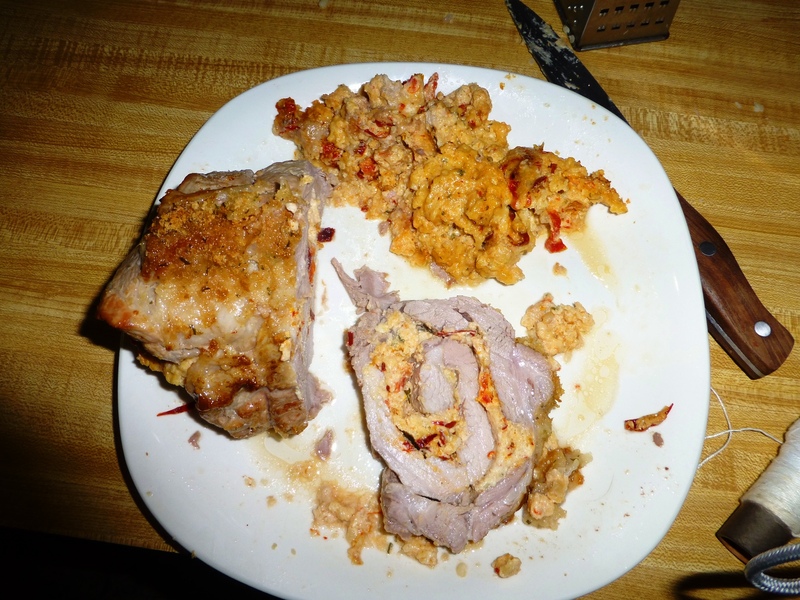 This was mixed and spread on the pork. I tied it into a roll (a leftover skill from working in the meat department) and we seared it in our La Creuset in a bit of oil. After it got a little browning, we poured in a cup of pinot gris and set it to roasting at 350 degrees F for around 1 and a half hours, until it read around 180 degrees F internally. Very tasty, if ugly. We also had a Riesling with this, a Pacific Rim 2012. A good wine, with the usual honey notes which always go well with the salty richness of pork and cheese. We’ve also made a bundt cake. 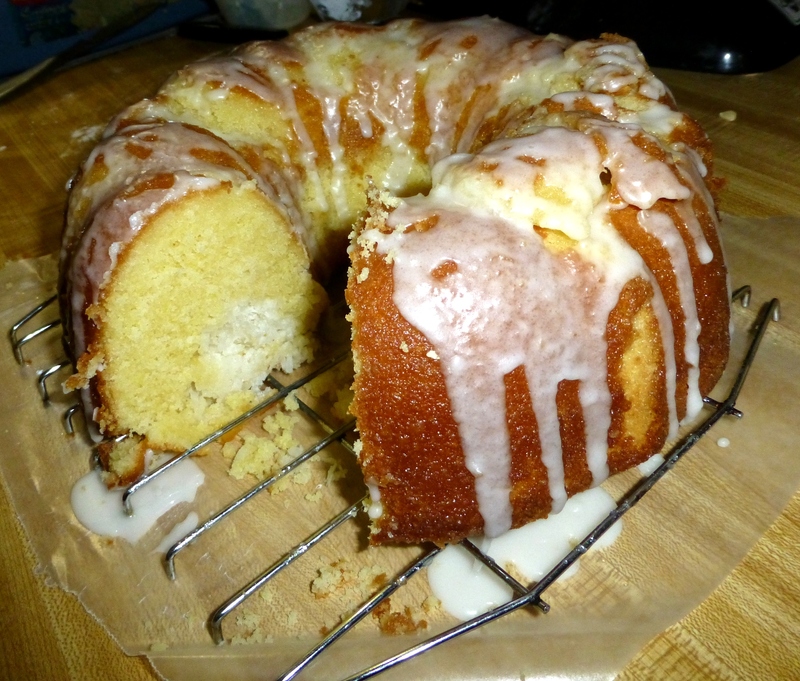 I’m feeling so retro 🙂 It was the King Arthur Flour Co’s Lemon Bundt Cake with Coconut filling. I’m about 90% sure that this coconut filling is what I’ve been looking for these past years. At one point, there was a chocolate bundt cake mix with coconut filling that my husband I both could remember liking a lot. I tried it a couple of times and I could never get the consistency and flavor right. This *is* right. It’s not too sweet and has a nice soft texture. So, next time I make a cake, it’ll be a chocolate version of this. I would have never thought to use what amounts to a meringue inside a cake. The cake isn’t quite perfect since it’s pretty much inevitable that part of the top will stick and have to be scraped off the pan. But glaze can cover a lot of baking sins. I used about half of the “glaze” in the recipe to moisten the hot cake and added confectioner’s sugar to the rest to make the white glaze. The filling is also not centered but again, that is pretty much up to utter luck where it ends up. That’s it for today. Eat well! After a long hiatus in brewing thanks to having a crazy retail work schedule, we are back brewing again. This batch is Northern Brewer’s kit, Assaazin Belgian Pale Ale. It was a limited run kit with Saaz hops from a Michigan hop yard. And honestly, it may have been wasted on me because I can’t tell that the hops have a unique terroir to their flavor. It is a very good beer though. We followed the kit and this is after about two weeks in the bottle. The color is a nice dark amber with a off white head. The head starts fairly fine and then turns nicely lacy. 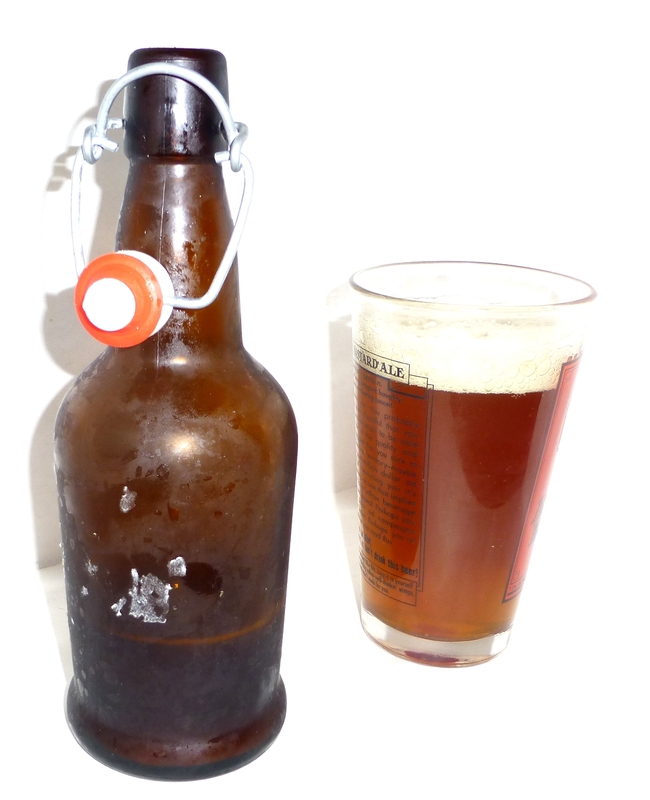 The flavor is a lot of the phenolic Belgian side with a nice hit of green herby hops to offset it. I definitely would make this again, so here’s to hoping that NB makes more. It’s very nice to see a lot of places regaining their hopyards so there are more things to experiment with. update: and get it we shall. 🙂 it’s on its way.